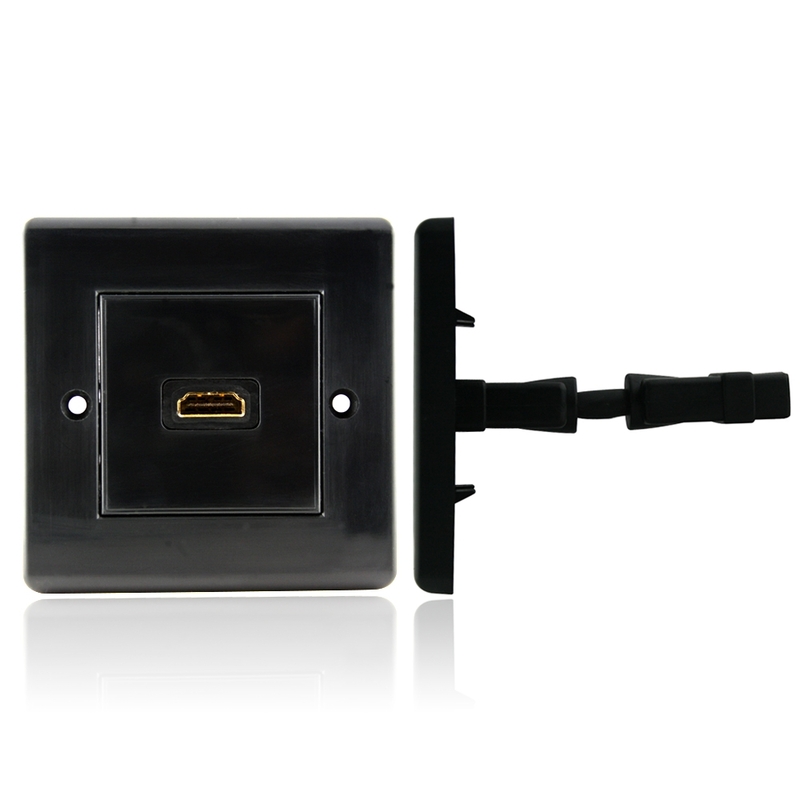 SKU: 101433. 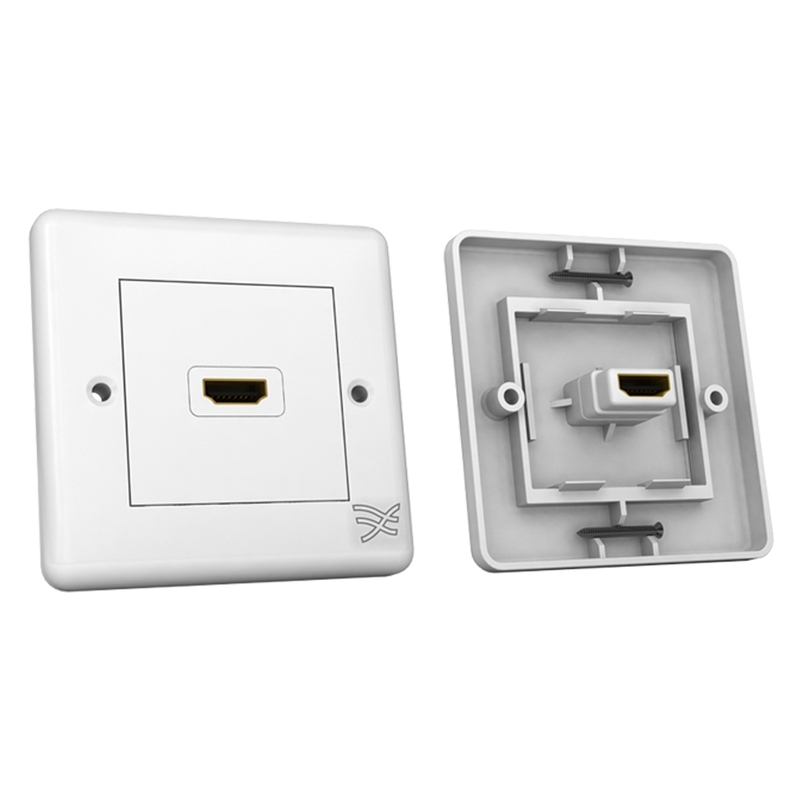 Category: Wall Plates. 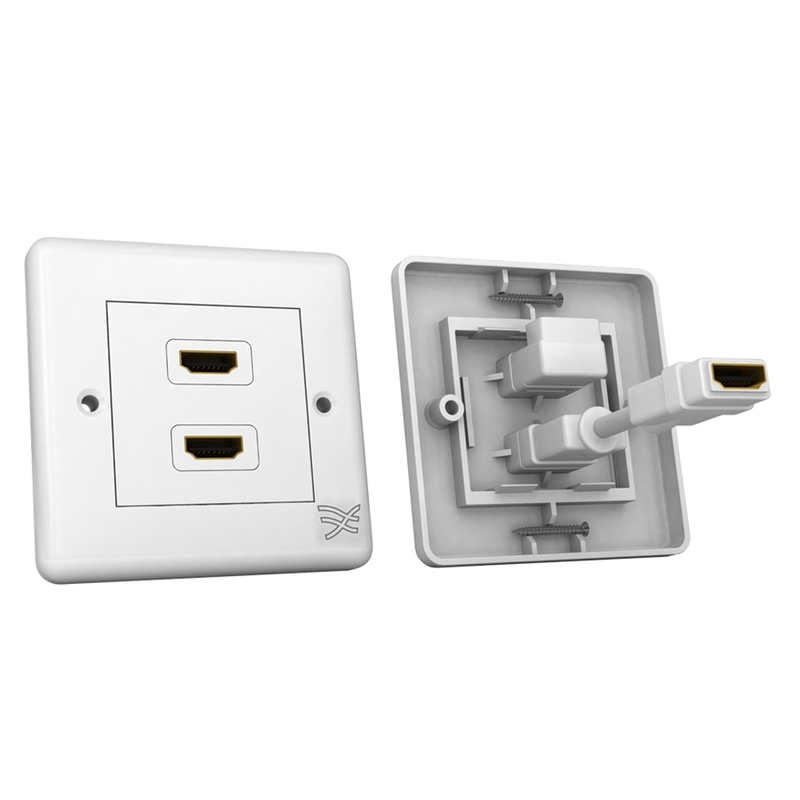 Tag: Cablesson HDMI Wall Plate Dual Connector 100/100 - White. 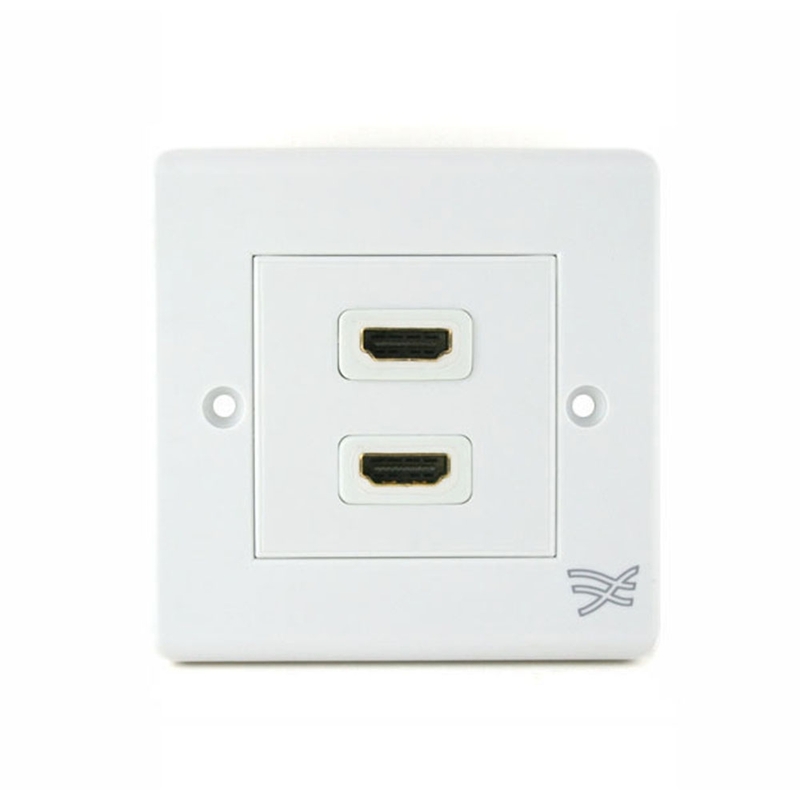 The Cablesson HDMI Wall Plate is made to fit into standard wall mount holes, similar to an AC outlet or light switch (single gang). 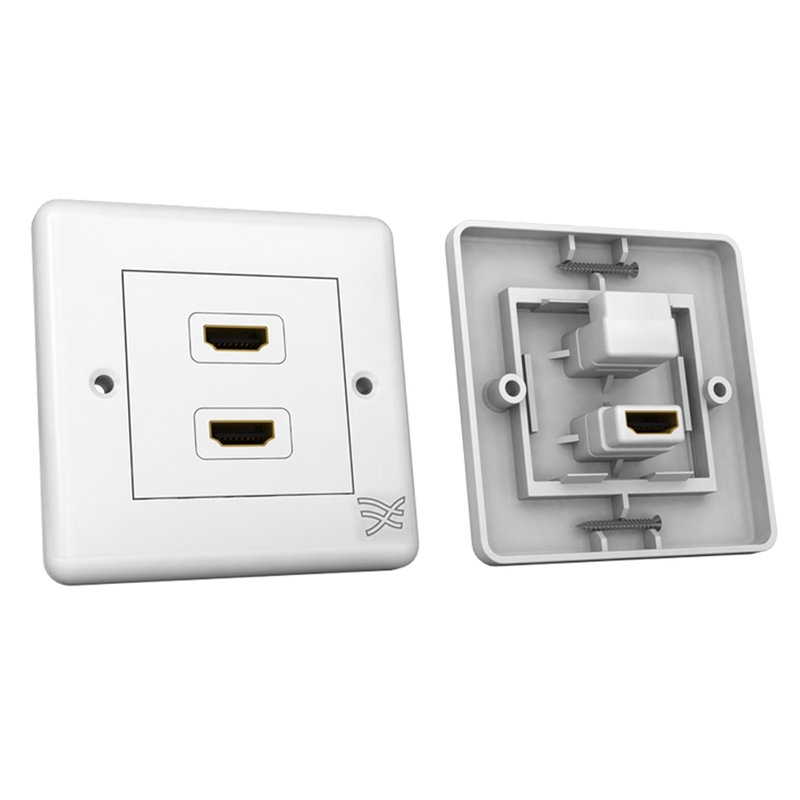 Their practical design makes these wall plates an ideal solution for HDMI cable extensions for home or business location. 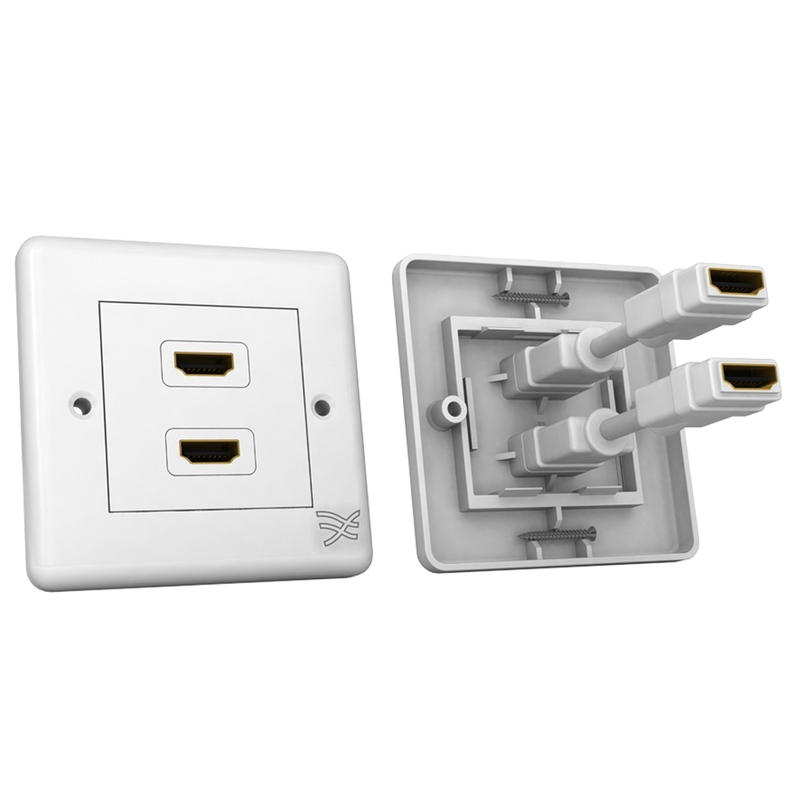 These wall plates are the perfect means for HDMI ports to remotely access HD displays or media sources, eliminating messy unsightly cables hanging out of gaping holes in the wall. 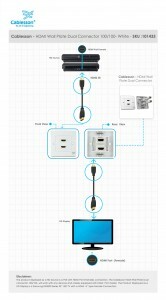 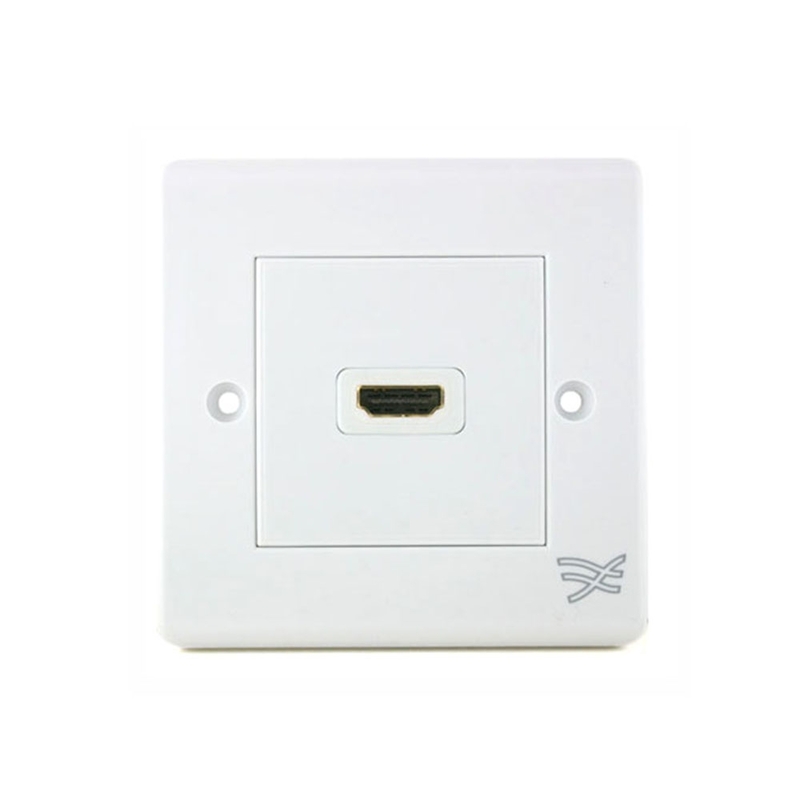 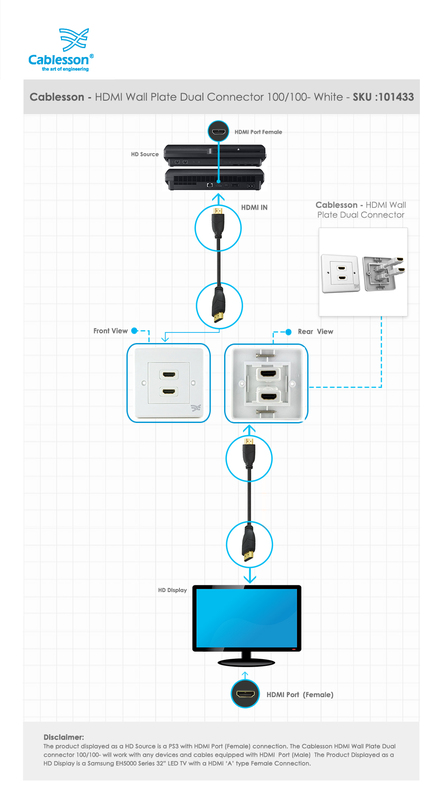 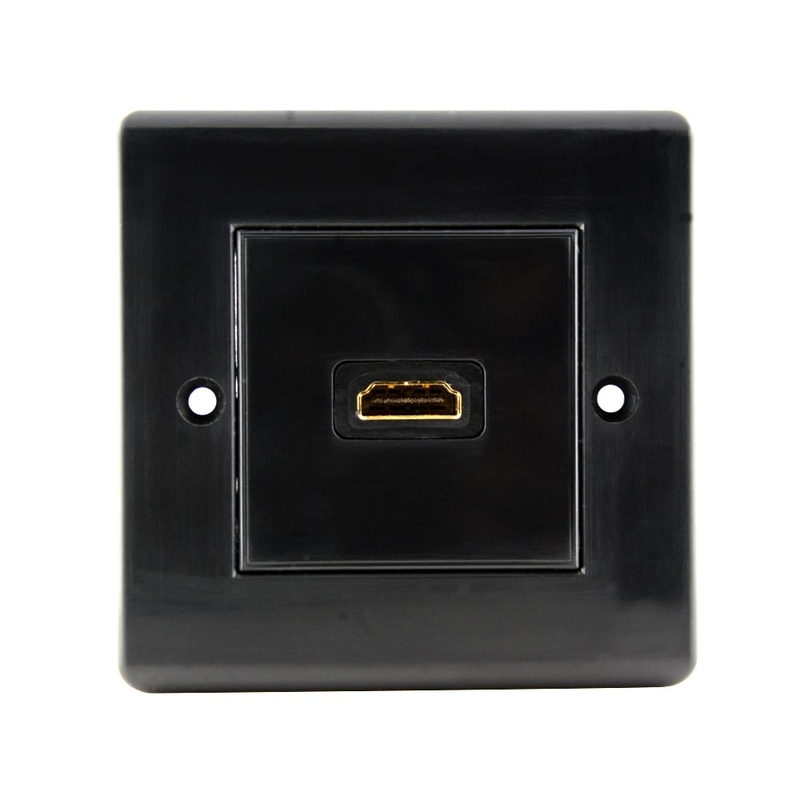 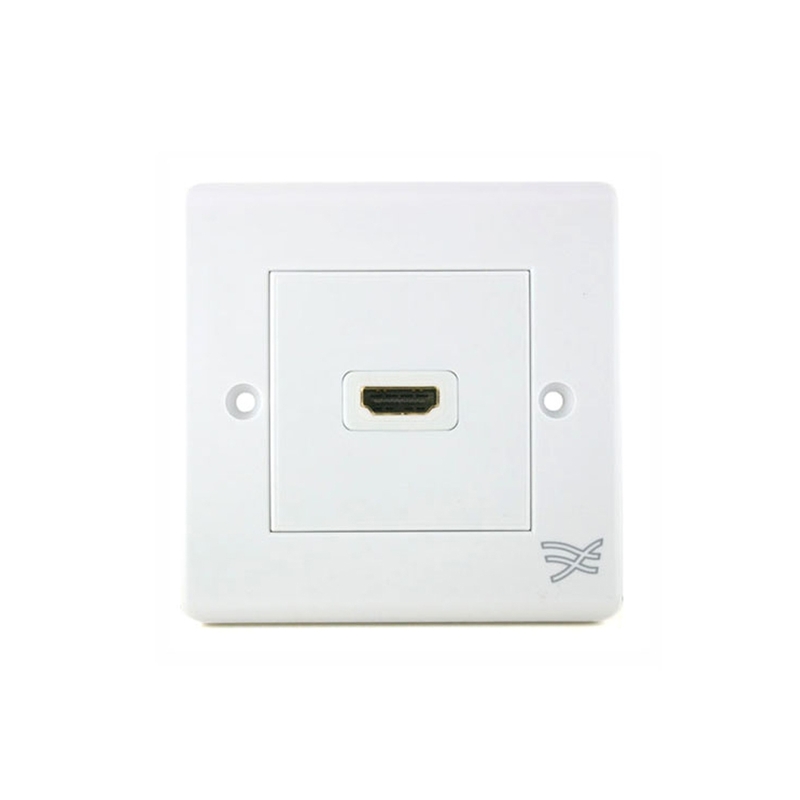 The use of a HDMI wall plate allows you to easily route HDMI connections, by installing your HDMI cables in your walls and using a wall plate to connect to.